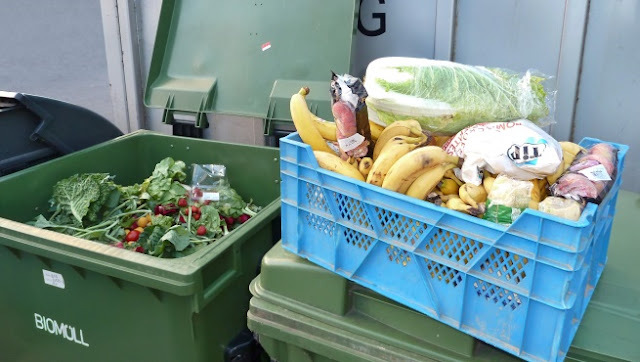 A voluntary initiative was launched three years ago in which UK food retailers and manufacturers decided to take steps towards drastically reducing food waste. The final report was released this January documenting figures from 2012 to 2015. 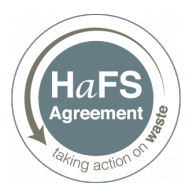 The voluntary initiative, called the Hospitality and Food Service Agreement (HaFSA), was developed by the Waste and Resources Action Progamme (WRAP), a registered UK charity. All UK governments supported the initiative, signing on in 2013 to show support. Quite a few businesses agreed to work towards reducing their waste, boasting 230 signatories total. These supporters made up 25% of the UK sector, and their savings were calculated using food and drink sales. Prevention target: Reduce food and packaging waste by 5% in the manufacturing and retail sectors. Waste management target: Increase the overall recycling rates of food and packaging using anaerobic digestion or composting by 70%. These targets for prevention and waste management are owned by WRAP and delivered on by signatories across the food manufacturing and retail sectors in the UK. Dependent on when a signatory agreed to participate, the data has differing baseline years, 2012 or 2013. Reportedly, the reduction in food and packaging waste has exceeded WRAP’s goal at 11%. Waste reduction in 2015, the final year of the initiative, was 31,000 tonnes lower equating to 80,000 tonnes less of CO2e. Food waste prevention measures saved about 24,000 tonnes of food from being tossed out over the three-year span. For the hospitality sector, that’s 48 million meals saved, a £67 million valuation. Surplus food redistribution as doubled during the agreement to 760 tonnes or 1.5 million meals. Though the sector did remarkably well in reducing food waste, they fell short for recycling rates. Food and packaging recycling stream improvements allowed for a 56% increase, falling short of the target 70%. WRAP took several actions to help businesses achieve their goals. To aid signatories with waste reduction, they developed and delivered training. Much of the success of the campaign can be chalked up to consistency. Signatories had their food waste monitored and were given figures on the resultant cost. A best practice guide was distributed. For recycling rates, a waste management working group was created and technical support helped “review existing waste management services and assist in developing new schemes through contract clauses for food waste and recycling collections.” This avenue for developing and enhancing recycling processes required new contracts to be entered into. When working to implement plans between businesses, the limited span of the initiative, a mere three years, was not enough time for new and improved recycling measures to come to fruition. Many of the organisations that worked with WRAP for HaFSA have agreed to continue working towards betterment under the Courtauld Commitment 2025, another voluntary order. With this, WRAP hopes to decrease the resources needed to provide food and drink by one-fifth in the next 10 years. It’s a project aimed at developing solutions and establishing best practice across the UK when it comes to sustainability.